No matter where you go or turn, you will always end up at home! 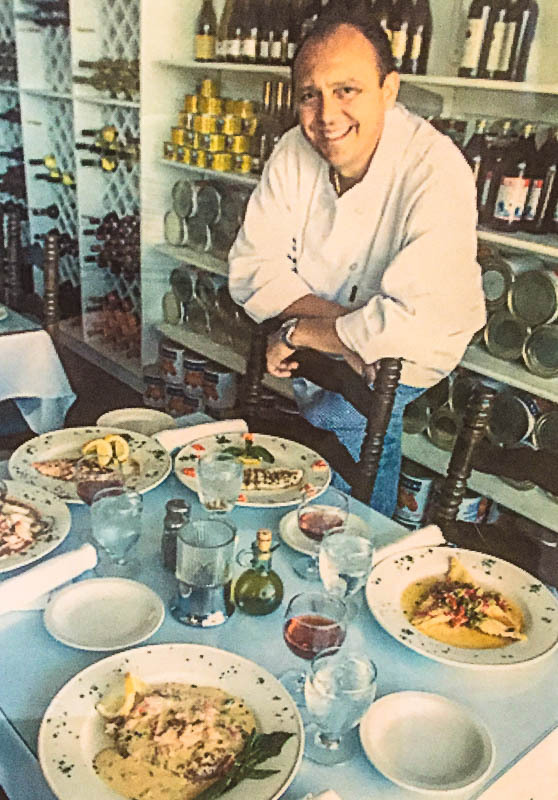 Leo started out shining shoes and eventually got a job washing dishes at what was then a popular fine-dining establishment called “The Golden Apple.” The owner and chef took Leo under his wing and nurtured his passion for cooking along with his desire for a successful life. Over time Leo met established chefs from all over the world and worked in restaurants in New York and Chicago. Eventually he returned to Omaha and opened Pasta Amore in 1986. One year after opening Pasta Amore, Leo met and later married Patricia. That was almost 30 years ago and together they have much to be proud of. They have a thriving business and three grown children who have all contributed to the continued success of the family business. Leo considers himself an artist and refers to his creations as "edible paintings." His love of cooking is equally matched by his loyal customers. Many patrons have become close friends and continue to dine at Pasta Amore on a regular basis. The restaurant is more popular than ever. Lines still form on a Friday nights, especially during the summer months, and several customers agree that the large outdoor patio is by far the best in town. The Fascianellas also own a small farm. They grow a variety of crops and raise chickens, making Pasta Amore one of the original “farm-to-table” establishments in the metro area. They use only the finest, freshest ingredients in their award-winning recipes and their famous, mouth-watering pastas are made the “old-school,” or rather, the “old-country” way — on pasta machines imported from Sicily. Leo Fascianella was recently awarded the "Golden Toque" which is one of the highest awards any Chef can get in the country. Only a select few across the United States receive this very prestiges award. Anyone who meets Leo cannot help but be struck by his delightful sense of humor, his high level of energy, and his passion for work and family. He has no shortage of ideas about all the new things he would like to try and he has no plans of slowing down anytime soon. He often says that he will probably be running the restaurant until he’s at least 90 or 100! Only the freshest and finest ingredients go into creating Pasta Amore's award-winning recipes, and the mouth-watering pastas are made “old-school” on pasta machines imported from Italy.